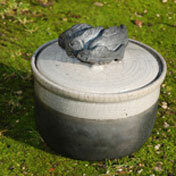 Our Raku candle is a candle work of Art. 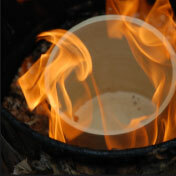 The candle is poured into a one-of-a-kind enameled earthenware pot made according to the centuries-old Raku technique. 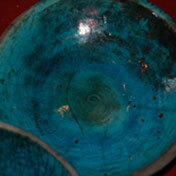 Raku is an enameling technique of Korean origin that was developed in Japan during the 16th century. 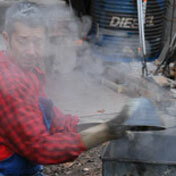 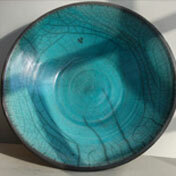 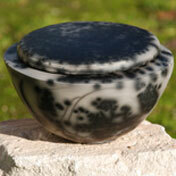 It is closely linked to Zen secular culture and to the fabrication of cups for the traditional tea ceremony. 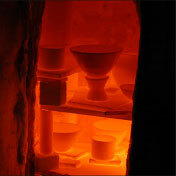 The glazed pieces that come out of the kiln at around 1000° are quickly covered in inflammable natural material like sawdust or dead leaves. 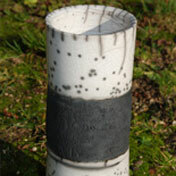 It's during this phase that the piece experiences a thermal shock, from which the cracked and smoky effects result. 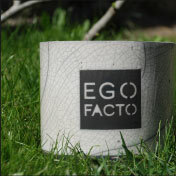 The multitude of parameters involved allow for infinite variations, which confers upon this entirely handmade piece the quality of a truly unique object.